Last year I wrote an A to Z of different types of notebooks from Address Books to Zipped Notebooks. With National Stationery Week taking place at the end of April I decided to write about different stationery and notebook companies and brands this year year instead of focussing on different types of notebooks. Some of these brands you will no doubt be familiar with, but hopefully there will be a few new ones for you to check out and enjoy. and don’t forget if you are interested in signing up for the Challenge – there is still time – find the sign up list here. Hello! I’m dropping by from the Theme Reveal Fest Bloghop! What an interesting theme; I’ve never bothered much about stationery and notebook brands, but with you writing in depth the plethora of brands and companies, I’m thoroughly intrigued! 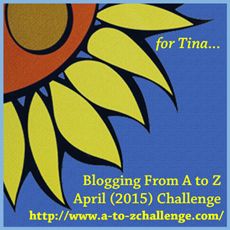 I’ll be dropping by your blog for the challenge month! Cheers! Thanks for dropping by. The theme is simply a different take on what I usually do. I often find that I don’t have brand loyalty and will pick a notebook for the job – whereas a lot of people will develop a favouritism for a particular brand – on a personal level it is a bit more about finding out what that is all about. Yes – notebooks can easily turn into something of an addiction. 🙂 Thanks for dropping by. Christina – thanks for dropping by and checking out my blog I am glad you have found some thing of interest (and not just the challenge). Probably. I always do when writing these challenge posts 🙂 Thanks for dropping by. I am a paper and journal addict from the age of 6. people keep on asking me what I collect them for, as far as often I even leave them blank, and from time to time open my boxes and drawers and take a look, a sniff, just touch the pages and browse as if the most precious words even written were in them. Thanks to your blog, I feel less alone now!